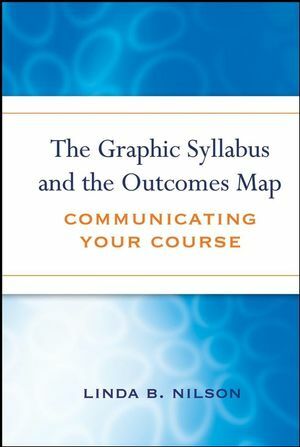 This book shows college instructors how to communicate their course organization to students in a graphic syllabus—a one-page diagram, flowchart, or concept map of the topical organization—and an outcomes map—a one-page flowchart of the sequence of student learning objectives and outcomes from the foundational through the mediating to the ultimate. It also documents the positive impact that graphics have on student learning and cautions readers about common errors in designing graphic syllabi. Linda B. Nilson is founding director of the Office of Teaching Effectiveness and Innovation at Clemson University. 1 The Limits of a Text Syllabus. 2 How and Why Graphics Enhance Learning. 3 Designing a Graphic Syllabus. 4 Charting an Outcomes Map. 5 How Graphics Benefit Course Organization. Appendix A. More Model Graphic Syllabi for Inspiration. Appendix B. Computer Software for Graphic Syllabi and Outcomes Maps.